Indeed, it actually is a proper country. -Vatican City is home to some of the most famous works of art in the world from artists such as Michelangelo and Bernini. 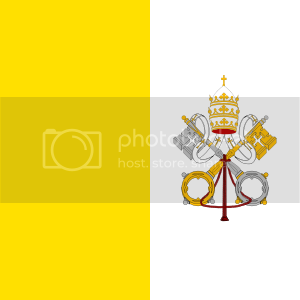 -The Vatican are said to be the de facto custodian of the Latin language from its Latinitas Foundation. -The Catholic Churches must be highly respected and listened to in Vatican City. Education: Vatican City is too small to host extensive educational facilities, but the Holy See operates 64 academic institutions close by (in Rome), which are often considered part of the Vatican. The original lands that the Vatican City occupies today was also the site of Roman Emperor Nero's Circus.The obelisk in the center of the Vatican square (the only remnant of the original Circus) was originally part of Heliopolis (an ancient Egyptian city which stood in the vicinity of present day Cairo) but taken by Roman Emperor Caligula and erected close to where it stands today.